The rectangle Borneo table seats up to 10 people when fully extended. The table extends from a 180cm to a larger 240cm size using two butterfly extensions which fold easily under the table top. Made of beautiful honey coloured teak with original curved leg design to allow maximum leg room this table is durable and built to last. The Borneo rectangle garden table is made of solid premium teak which has been sustainably sourced from legal plantations and is fully machine made for a long life. Delighted with our garden table, very well made, lovely teak colour and we were given very good advice prior to buying regarding the size and style as we were unsure. Faultless service. 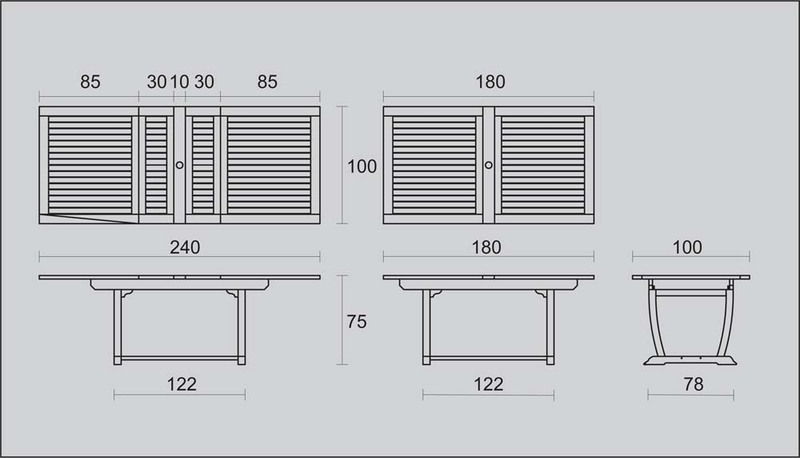 Short Introduction to our best selling double extending teak table, the Borneo.